Want to play a game? How about a little tic-tac-toe? In our house we play on a DIY Coastal Tic-Tac-Toe Board, complete with starfish as X’s and sand dollars as O’s. 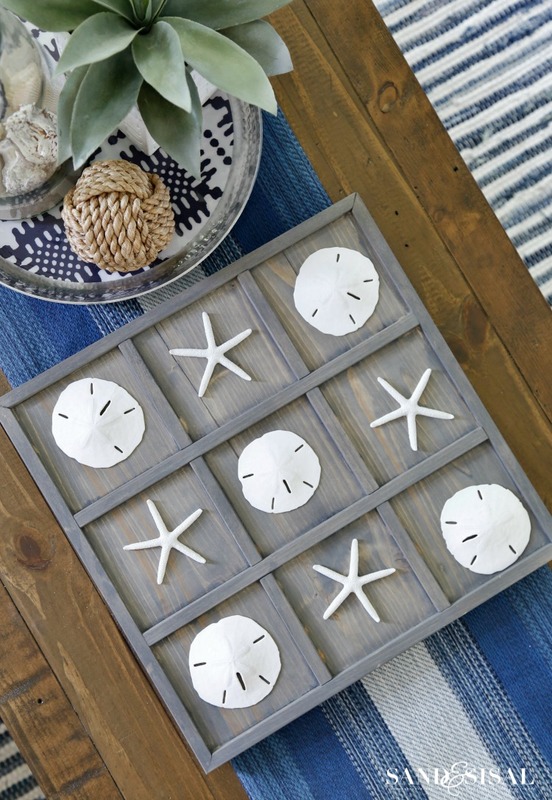 This coastal tic-tac-toe board is a pretty easy DIY project that you can knockout in an afternoon. If you own a beach house then you need this! Some Amazon affiliate links provided for you shopping convenience. When deciding to make a coastal tic-tac-toe board I wanted to find a board that was wide enough to hold starfish and sand dollars,and also be inexpensive. I found a nice 4 foot long pine board at Home Depot. Now, I didn’t need 4 feet but the board was only a few dollars and would allow for any cutting mistakes or making multiple boards. 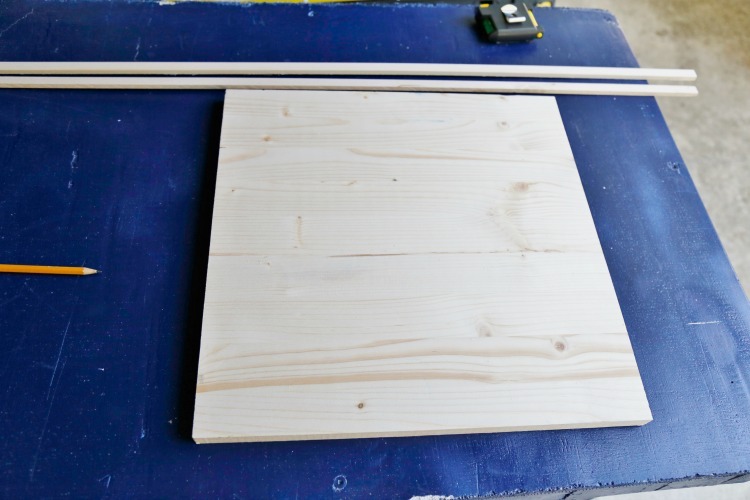 This project is quite simple if you already have some power tools. Step 1: Measure the width of the board. Take that measurement and mark it along the length of the board. 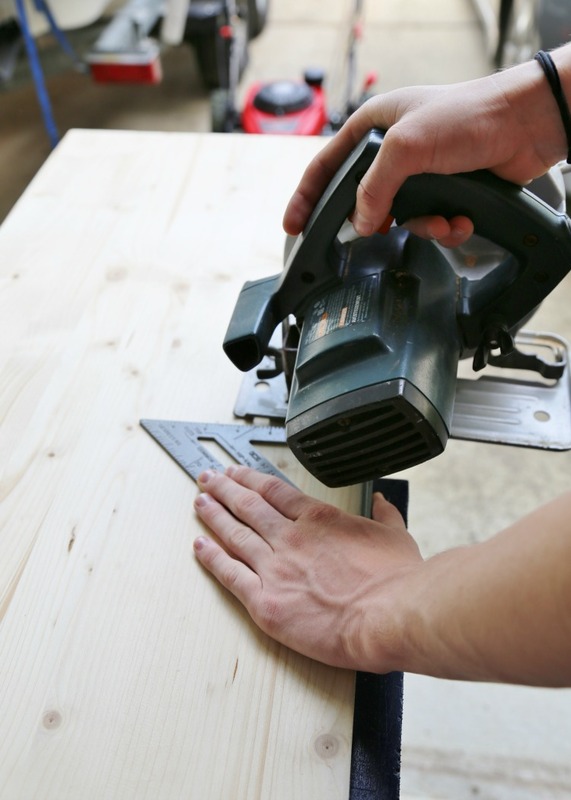 Cut an exact square out of the board by using a circular saw and rafter’s square to help keep the saw straight. My board is 15.5″ x 15.5″. Create the outside frame edge. 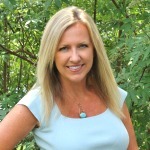 Cut a rectangular trim piece into 4- 15.5″ lengths, and cut the ends at a 45° angle as pictured below. Stream a bead of wood glue along the molding pieces. 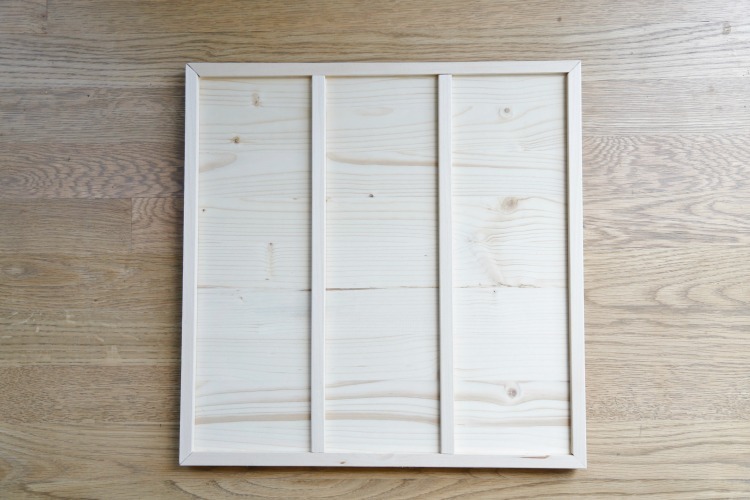 Set in place to form a frame around the board. Wipe up any leakage or glue spills with a wet cloth. 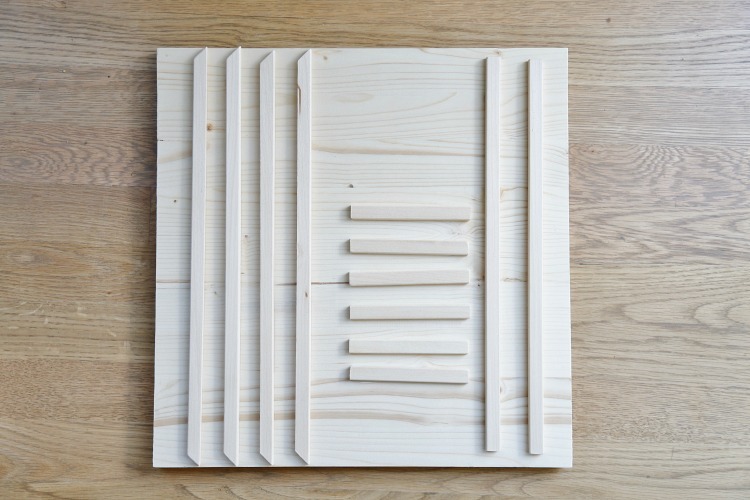 Glue the 2 inside pieces equal-distant from each other to create 3 equally spaced columns. Each column is 4 1/2″ inches wide. 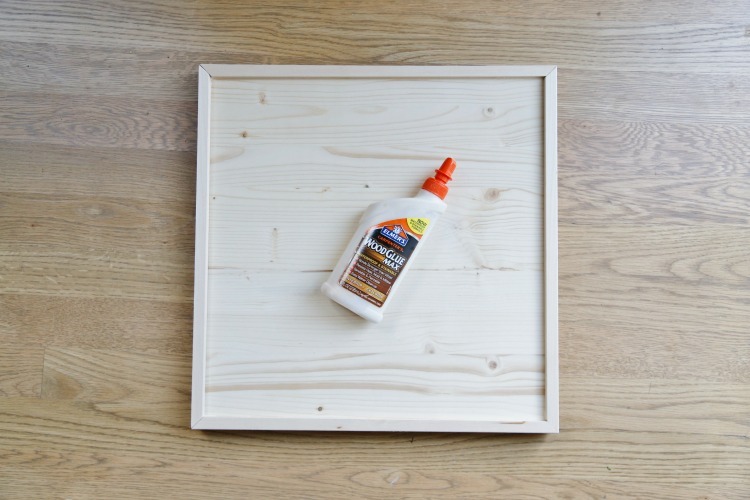 Glue in the 4 1/2″ spacers to create a grid pattern. This is up to you! Paint the board, stain the board, or leave it as is. 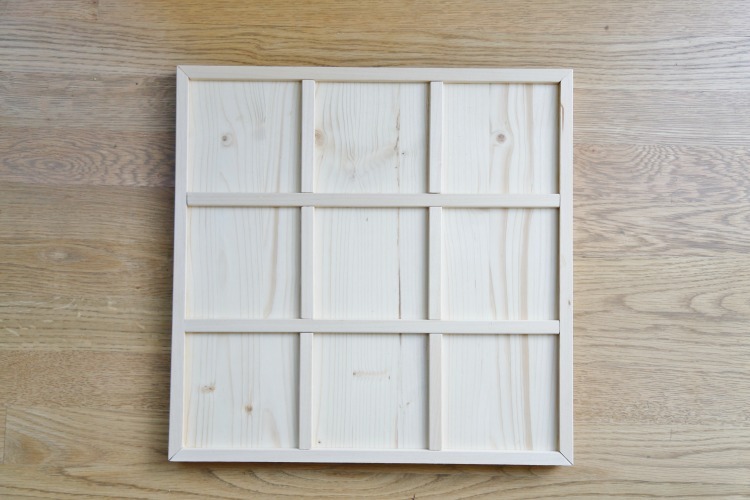 I used Minwax Classic Gray stain for my Coastal Tic-Tac-Toe board. I used a foam brush to apply the stain, left it for 5 minutes and then wiped off the excess stain with a soft cloth. The stain can be a bit strong smelling so leave it outside to dry and air out for a few hours. I added a few foam pads to the underside of the board. 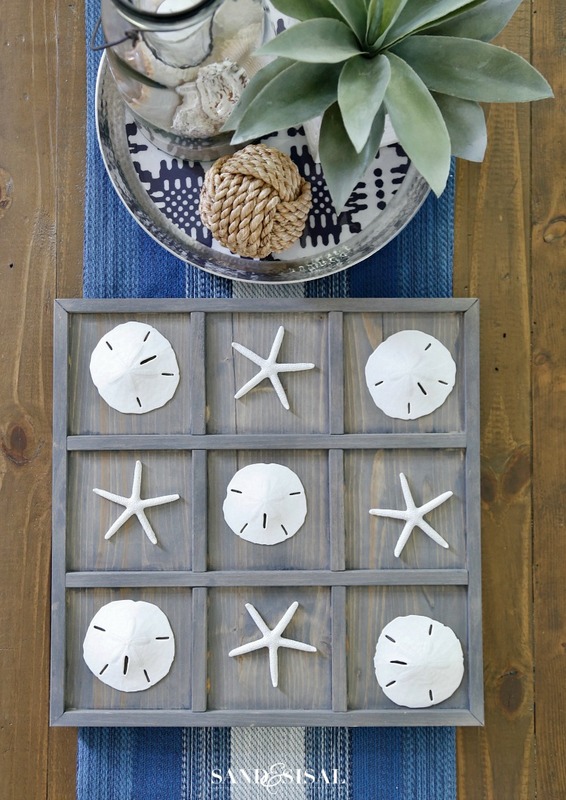 Choose 5 starfish and 5 sand dollars to play the coastal tic-tac-toe game. I hope you will make a board for yourself or make one as a gift. The DIY Coastal Tic-Tac-Toe board is so pretty as a coastal decor item and can add to a fun game night for the family! 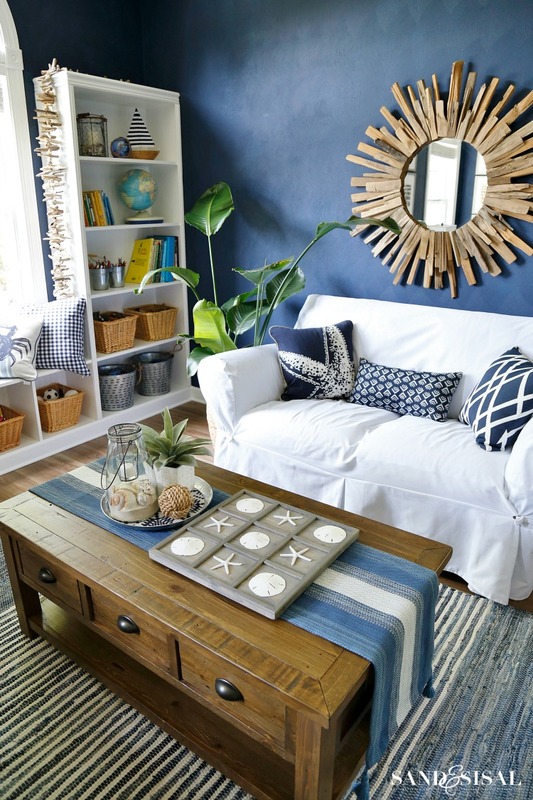 To see more of our recent nautical media room makeover click here. Wishing you a fun family game night! Thank you so much Diena! It was a fun afternoon project! Somehow the starfish and sand dollars make tic-tac-toe more fun! 😉 Send me a pic of your boards when you are done! I’d love to see and share them! Thanks Kim, i sure will. Looks like it was not only fun to play but also fun to make .) Have a great day !